Cosmo Dog Park was the winner of DOG FANCY’s Dog Park of the Year for 2007, a year after opening in July 2006. It is the only Dog Park in the Phoenix area with a lake, which many dogs thoroughly love! A detailed map shows the many amenities offered in this dog paradise. The 4 acre park provides two dog wash stations, a wet dog area, an lighted open dog park, and a timid dog area. This is in addition to the ramadas, walking trails, basketball court, restroom, picnic tables and amphitheatre. Any message board talking about Cosmo dog park confirms my experience with our visit to this fantastic dog park. With all the happily barking dogs and the way the park has been built lower than the surrounding area, you’d never know it is right next to the 202 Santan Freeway, except when you’re arriving and leaving. Cosmo Dog Park is another addition to the many great parks in Gilbert, including Freestone Park and McQueen Park. 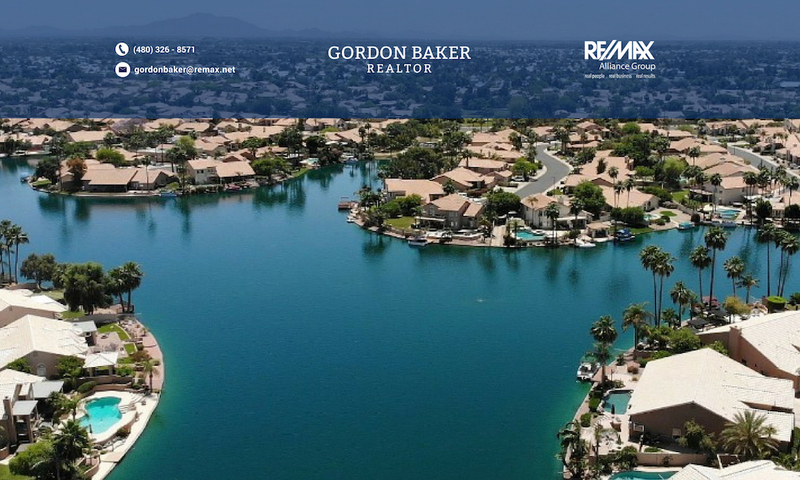 The easy freeway access makes this dog lover’s dream park accessible to many desireable Gilbert communities including many Gilbert waterfront communities such as The Islands, Val Vista Lakes, Stonebridge Lakes and Lago Estancia. For help locating your dream Gilbert home, click on search for Gilbert homes. #1?! Really? Have you been there? First off there is not enough parking, the sidewalk to enter the park takes you on a hefty hike AROUND the rolling hills, so if you have a dog that is in a hurry to get to his favorite place be ready for a long walk. Next, lets look at the “wonderful” lake with poor circulation and filtering that is always filthy and covered in film. Ther is NEVER any tennis balls or toys left there either. I have left some several times but they are never there after cleaning. Next, the grass…or the LACK THERE OF! The place is COVERED in mud and has NO TREES! This picture you provide shows the area around the dog park and is about a year old if not more. In AZ can you imagine no shade anywhere. Besides the few benches away from the main play area with one cover, there is no shade anywhere or coming soon due to the trees all dying off. The biggest complaint still has to be the mud and lack of shade. They close this park every August to “improve it” and all everyone wanted was shade and GRASS, so the park stayed closed all August for us to return just this morning to…MUD and NO SHADE. You can’t even tell what they did if anything besides take out the dead trees (still leaving two) and watering the mud. This is NOT the best dog park by any means. The rolling hills makes your walks rather tiring, the sidewalks dont even go in the more fun areas, there are ants all over the tables and benches as well as spiderwebs from there lack of use, and there is no grass except in places where you are not supposed to walk your dogs. Someone that actually visits this park should try visiting it more often, or looking at the other parks in the area like Virgina and Greenfield or the Scottsdale Park. The shade will come with time as the trees mature. I thought the biggest negative was the lack of grass due to so many visitors. They should close down sections on a rotating basis to give it time to stay healthy and endure the high traffic. I’ve been there a couple of times and the lake was always in good condition. The pictures you see were taken in April 2009, less than 6 months ago. I have to give the Town of Gilbert credit for providing a park such as this, and only hope that the visitors can do their part in helping maintain it. Specifically, cleaning up after their dogs.